Yaddo is open throughout the year, except for four weeks during the winter holiday season. During the “large season” from May through September, up to 34 artists are in residence at any time; in the “small season,” approximately 18 guests at a time can be accommodated. How is the working day structured? Traditionally, Yaddo has reserved the periods between 9 a.m. and 4 p.m., and again after 10 p.m., as “quiet hours” for artists to work without interruption. During this period there should be no interference with the working time of fellow guests and no studio visits without direct invitation. The same policy applies to outside visitors, who may come after 4 p.m. (though they cannot be accommodated at dinner) and may stay until 10 p.m., when they must leave. Does Yaddo offer any other programs? Yaddo’s main focus is the residency program. Unlike other residency programs, Yaddo does not organize readings, recitals, performances, exhibitions, or other such activities for artists in residence, nor place expectations on artists in residence that they will participate in public or private programming. Does Yaddo offer barrier free access? Though the main buildings at Yaddo were built around the turn of the century, improvements in accessibility have been made in recent years. There are year-round, wheelchair-accessible bedrooms, bathrooms, and studios (including the darkroom). In addition, the dining room, the Yaddo Authors Library, and the video room are now barrier free. Does Yaddo provide room and board? Each artist has a private bedroom in one of several buildings on the estate. Linens are provided, and laundry facilities are available. Breakfast and dinner are taken communally, while lunch is packed for each artist to carry away. Although the kitchen cannot offer meals for special diets, vegetarian alternatives are provided. Other than the specialized equipment provided in the photo, printmaking, and welding studios, Yaddo does not provide supplies or equipment for professional work, such as stationery, printers, paper, typewriters, paint, power tools, or personal computers. Several computers, along with wireless internet, are provided for guest use in a central location. Saratoga Springs has an art supply store, and Yaddo office staff members can refer artists to computer rental agencies. Does each artist have a studio? Each guest is assigned a private studio. There are studios for painting and drawing, printmaking, sculpture, welding, and choreography, as well as a black and white darkroom. Because the studios vary in size, it is important that visual artists make clear the dimensions of the work they propose to do. There is no equipment for editing film or video. Composers’ studios are equipped with pianos. Some of the larger bedrooms serve as both living and working space for writers. Appropriate table space is supplied for writers using computers. Does Yaddo accommodate family or pets? Because Yaddo is a working community of professional artists, accommodations cannot be made for family members or friends of invited guests, for either overnight stays or meals. Except for service animals, no pets may accompany artists. 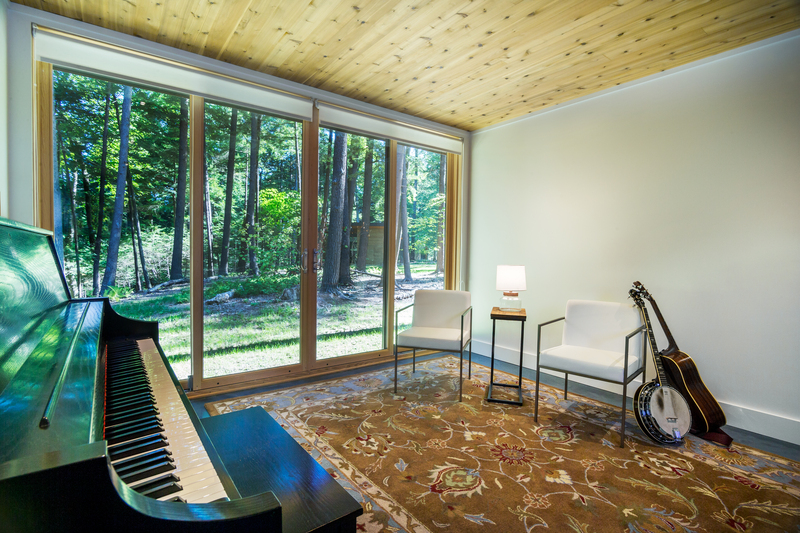 Can Yaddo accommodate special medical needs? Applicants to Yaddo should be aware that there are no medical facilities or medical personnel on site. Applicants with special medical needs should contact the Program Director before applying. Complete medical care facilities, including a local, full-service hospital, excellent day clinics, and a regional trauma center, are all located within driving distance from Yaddo. Yaddo does not provide insurance for medical needs. What can artists do when they’re not working? Since Yaddo is a working community, it offers no formal social activities. There are winding roads and paths through the woods. There is a swimming pool, a pool table, a ping-pong table, and a supply of bicycles to be shared by guests. Yaddo maintains several small libraries, including one of books by Yaddo authors. Yaddo provides transportation to and from downtown Saratoga Springs late each weekday afternoon. Off the grounds, Saratoga Springs offers many amenities. Guests may borrow books from the excellent public library and the library at nearby Skidmore College. For a fee, they may use the athletic facilities at the YMCA or a local private gym. What other policies are important to know? The use or possession of drugs prohibited by law is prohibited at Yaddo. The Corporation of Yaddo reserves the right to end a guest’s visit when responsible officials judge it necessary to do so for the good of the community. If I am unable to accept my invitation, may I defer my residency? If satisfactory alternative dates cannot be arranged, you will need to reapply. Residencies may not be deferred beyond the eligibility period established by the deadline under which you applied.